I was just browsing the always gorgeous online catalog from Toast, and was delighted and rather surprised to see my beautiful city of Montreal used as a backdrop for their Autumn/Winter 2013 photoshoot (they are a UK company after all). 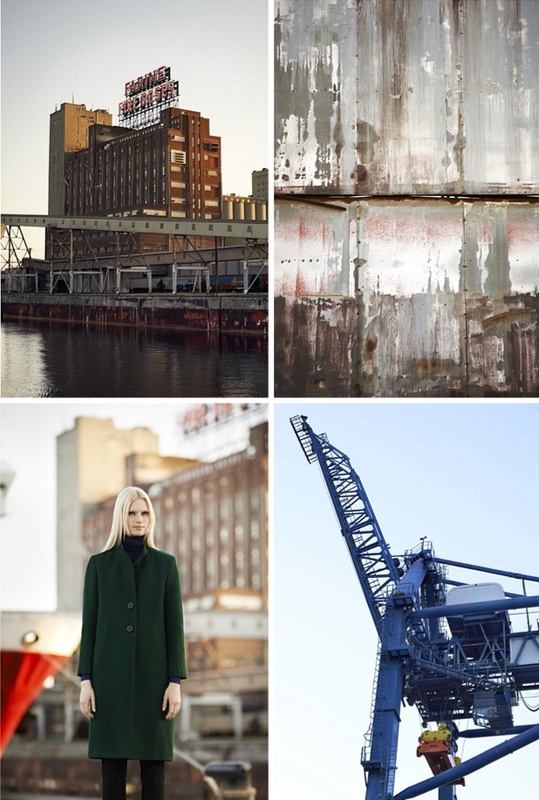 The images were shot in industrial Griffintown, and are simply gorgeous! And they make me miss home so badly. They wrote a fun little guide to Montreal as well (part 1 & 2) and recommended visiting several boutiques/shops that are within a block of my apartment! Some of them I already know and love, but others that I've never really noticed before, even though I walk by them all the time. So that's fun - I'm inspired to re-explore my own neighbourhood now. I decided to fly home a week earlier than expected, and will be heading back to my favourite city in the world on Sunday. I can't wait! All photos from Toast AW13 October catalog. i love toast and i love montreal. Have a lovely trip home.